We were promised we would board yellow kayaks and glide through a placid lake where we can almost touch the clouds. We were promised Swiss mountainscapes for our backgrounds. But promises are meant to be broken; especially if the heavens doesn’t want to cooperate. 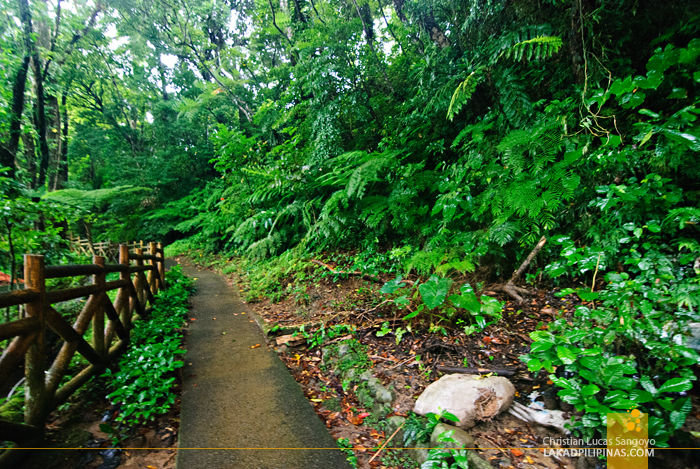 Our visit to the Bulusan Volcano Natural Park was marred by incessant rains. Exhausted from the island hopping adventure in Matnog, our van navigated the 360-meter uphill climb to Lake Bulusan without us knowing. The sound of our engine being turned off woke us from our afternoon siesta; the rain was pouring. 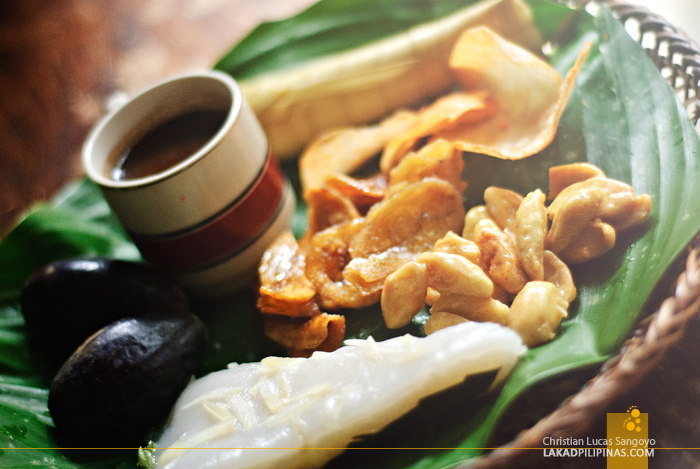 A table filled with local Bicol delicacies was spread upon our arrival; glazed pili nuts, salted taro chips, sumans, fresh pilis, egg pies and thick hot chocolate. Aside from pili, the province of Sorsogon is known for producing quality tableas. The glazed pili nuts and taro chips were excellent but what I loved the most was the hot choco. 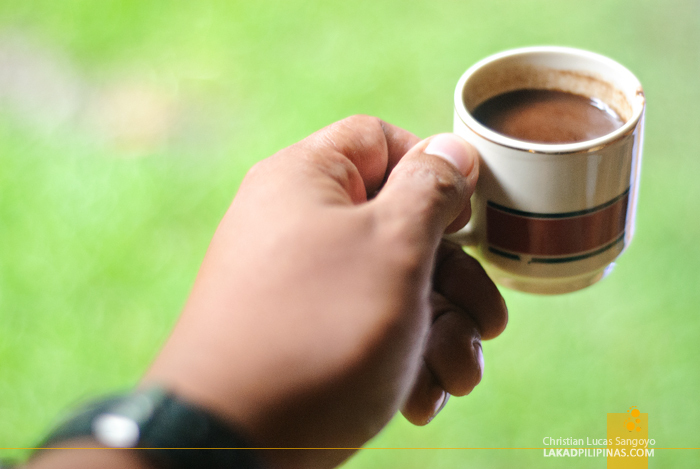 Served on a demitasse, it gave the kick needed to finally wake me up; time to set up my tripod and shoot seriously. 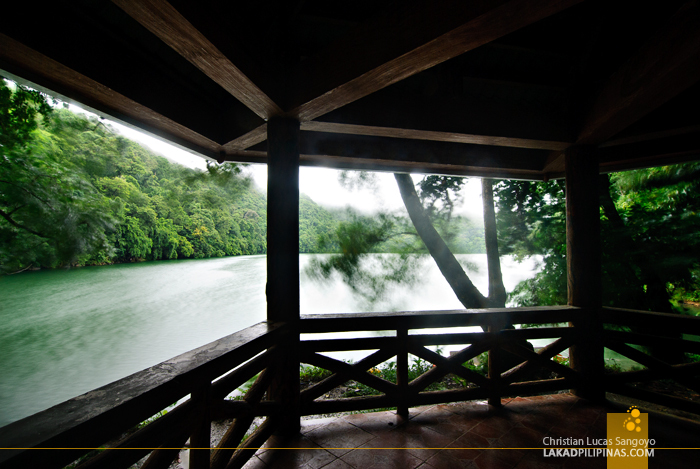 The 27.6-hectare Lake Bulusan is believed to be a lake formed by the caldera of an unnamed volcano. 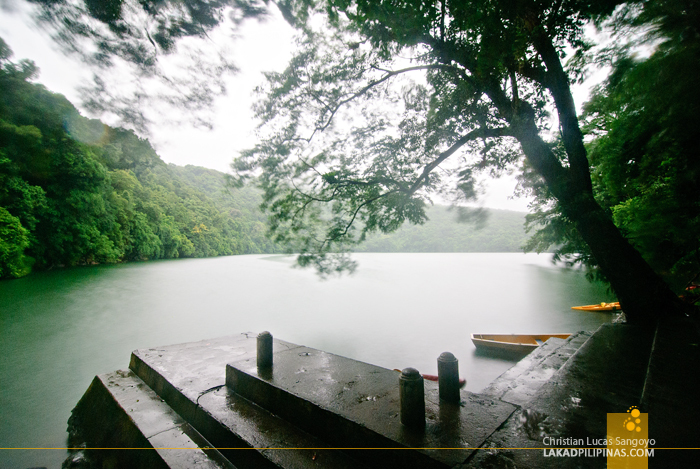 It sits more than three hundred meters above sea level, very similar to the Twin Lakes of Negros Oriental. 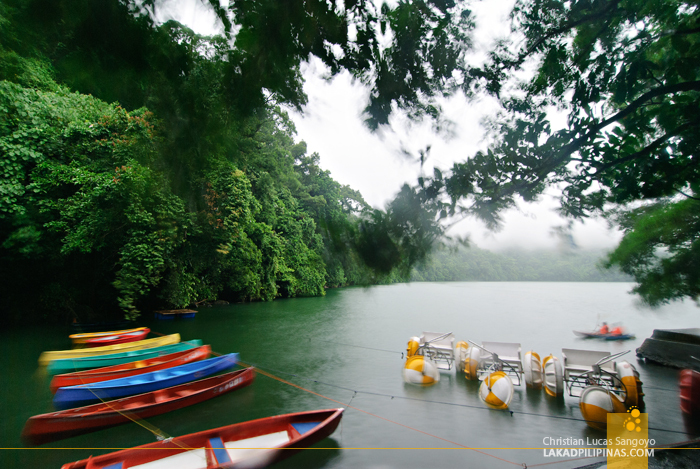 Besides the water activities in the lake, it also serves as a jump off point for mountaineers to the Bulusan Volcano National Park. The canoes and wooden boats docked on the shore seemed to tease me as I struggled to take photos of the lake. The rain wasn’t letting up and all the boats were moored to the banks. I would’ve loved to simply drop my camera and paddle through the lake. Tsk. Walking a few meters more from the shore, I found a trail surrounded by lush greens. I asked a local where it leads, around the lake he says. That got me going, I would’ve loved to circle Lake Bulusan through the two-kilometer long trail, similar to what I did several years back at Laguna’s Lake Sampaloc, but time was not on my side. There were no Swiss mountainscapes, no paddling through the lake and no hiking around the trails. 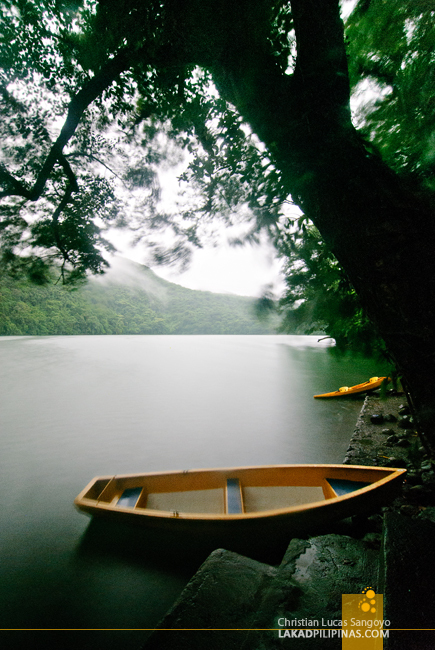 Our visit to Sorsogon’s Lake Bulusan only served to whet my appetite to what visitors can do when visiting Bulusan. There’s always next time. I hope. 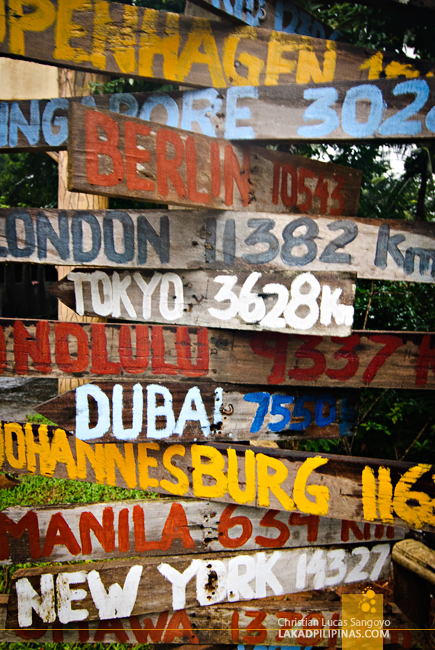 GPS Coordinates: +12° 44' 59.89", +124° 5' 44.80"
hoping to visit the lake plus a bulusan climb soon.. The Philippines look like an amazing country. I want to go!! !